...started off with a quick walk around the villa, which resulted in the Hoopoe feeding in its favoured spot, two Sardinian Warblers and also the Spotted Flycatcher made another appearance in the trees on the north-side edge. 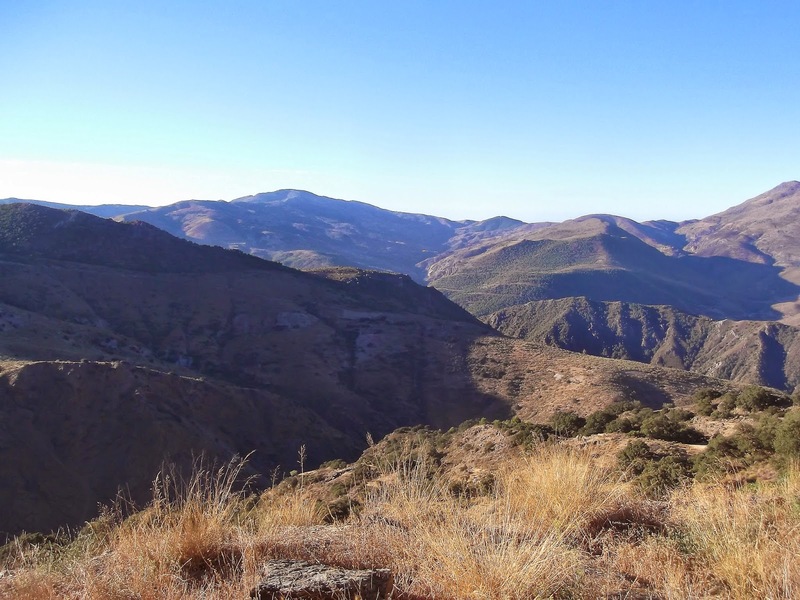 Having made the recce up the mountainside towards Trevelez the day before, I coaxed Annie to come with me on Tuesday morning. Any roads with sheer drops (even if they are on the other side of the Armco), and numerous twisty bends in the road (to assist with car sickness) are not really going to appeal to Annie, but she went for it nonetheless. 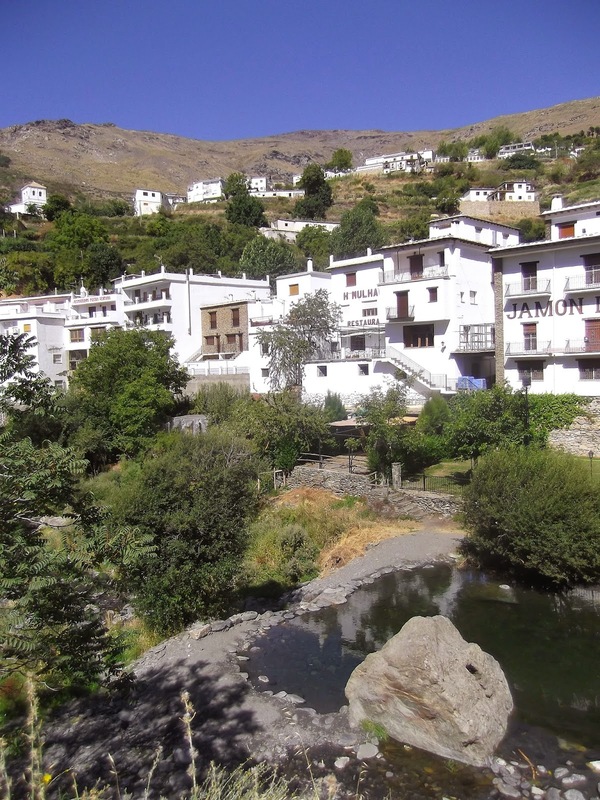 It took nearly an hour to make the journey 5,000ft above sea-level to Trevelez. It made for a dramatic setting. 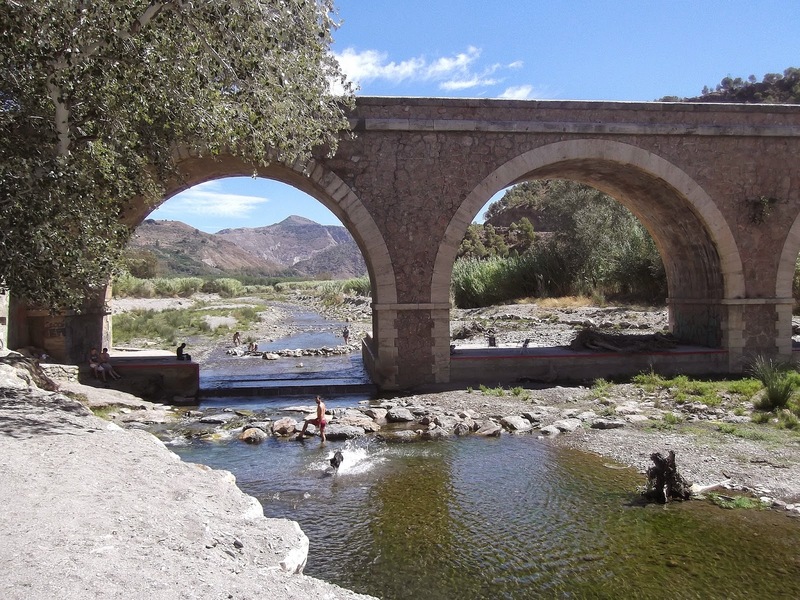 We parked down by the river, the Rio Trevelez. The first thing I noticed was the sound of Spotless Starlings and a mix of other birds in the trees by the river. What was also striking was how fresh the air it felt, at least 5C cooler here than down in the valley, with a welcome cooling breeze. A fabulous spot. It was clearly good for birds here. Immediately, a small flock of Serin landed in the trees next to us before they flew down to the edge of the river to feed. 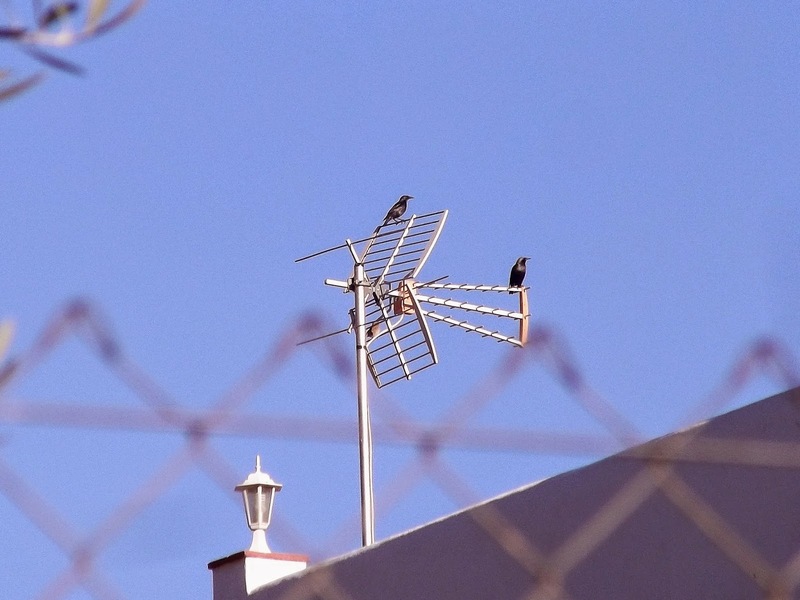 They were very active so digiphotos were difficult, hence the indifferent image here. Above the village high up, a flock of House Martin circled feeding on insects. 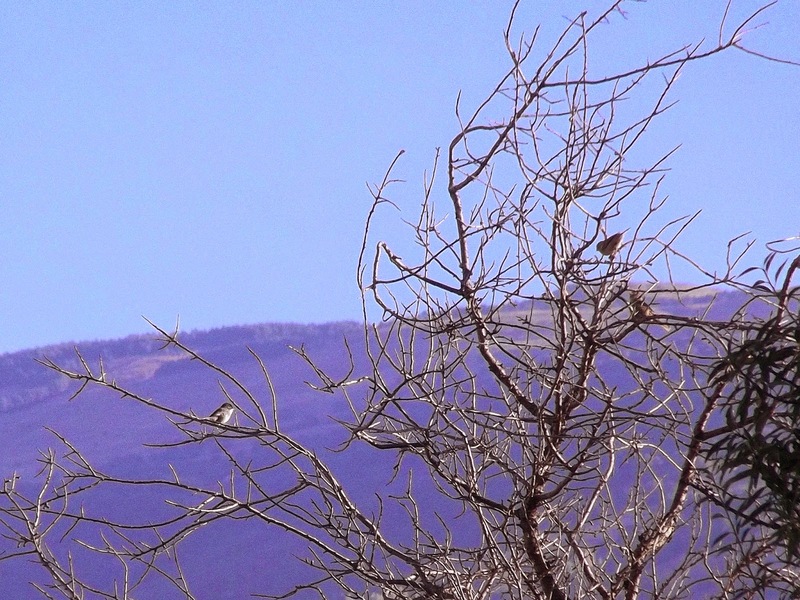 Then I noticed two Swifts amongst them, much larger... with white bodies – two Alpine Swift! My first ever. I was really pleased to see these as I wasn't expecting to see any. 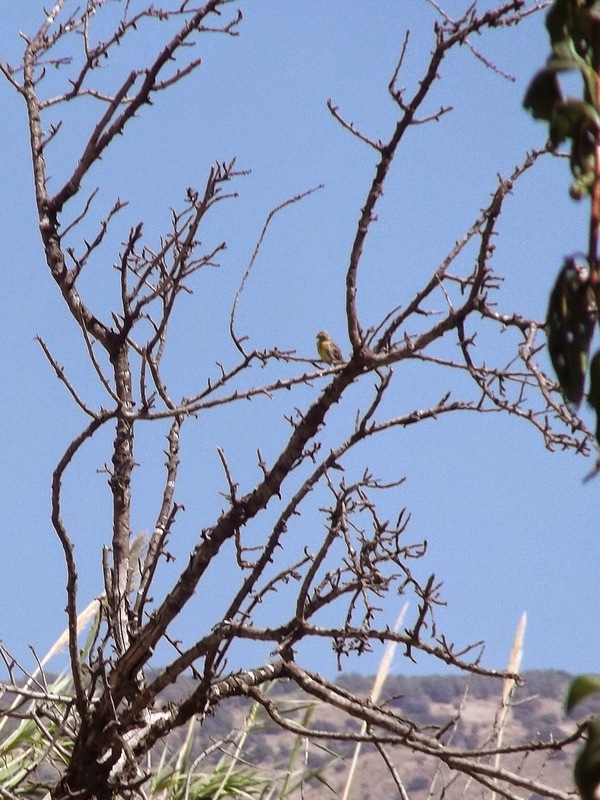 Behind me I could hear a Bee-eater calling, and located it flying to and from a dead tree up the mountainside. 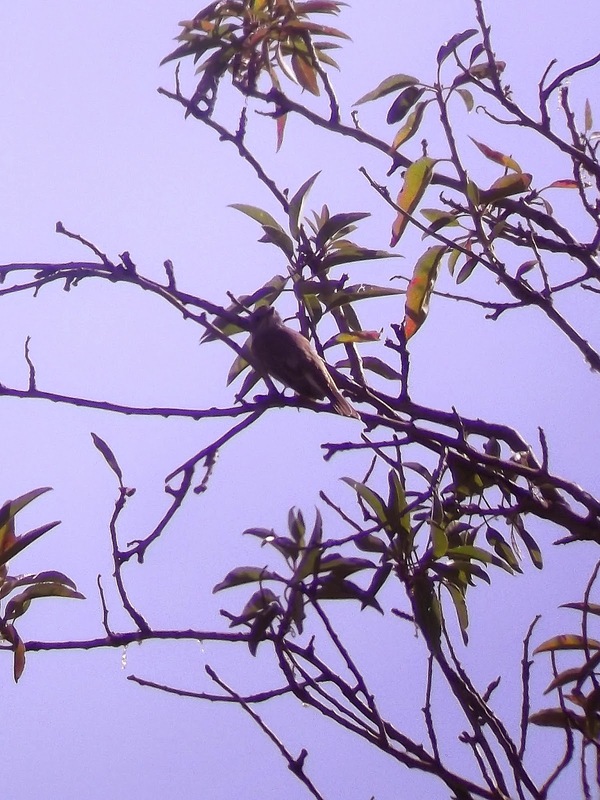 A walk along the river conjured up three White Wagtails and another Sardinian Warbler. 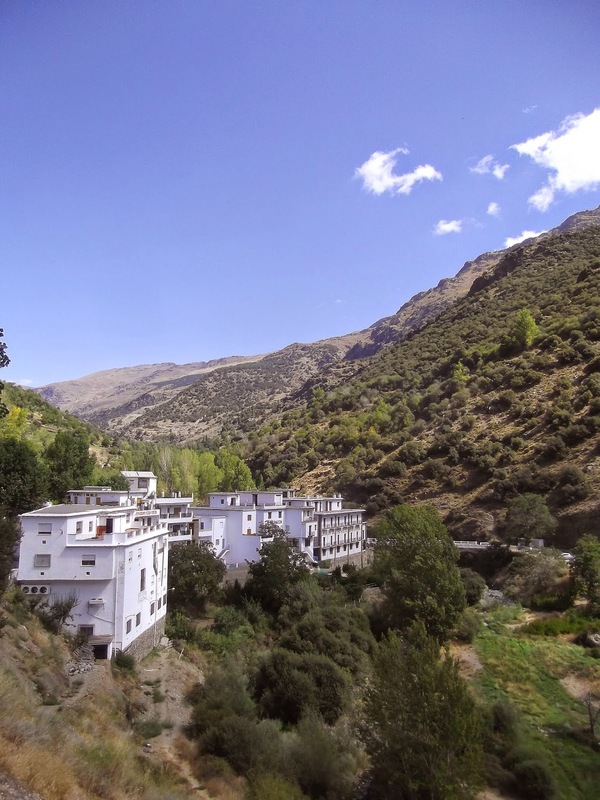 We stayed for lunch, which was the poorest meal we ate all week, before setting off back down to Orgiva. 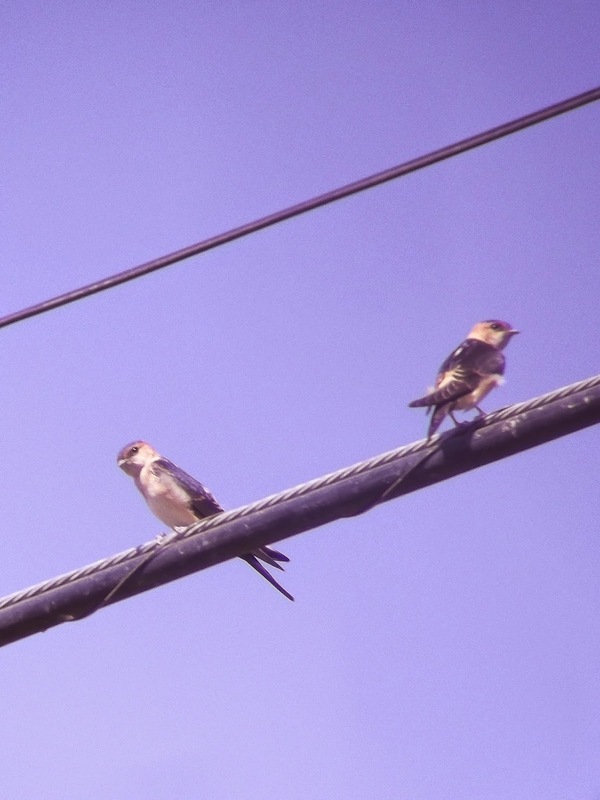 On the way, I saw a Booted Eagle and a couple of Bee-eater. Back at the villa, the afternoon produced another Booted Eagle (maybe the same one), more Red-rumped Swallow, a Willow Warbler and six more Bee-eater, which flew north late on. Wednesday was the hottest day of the week, 34C, with less breeze, so we spent the day swimming and generally lazing around. A dossing day – it was supposed to be a holiday after all. 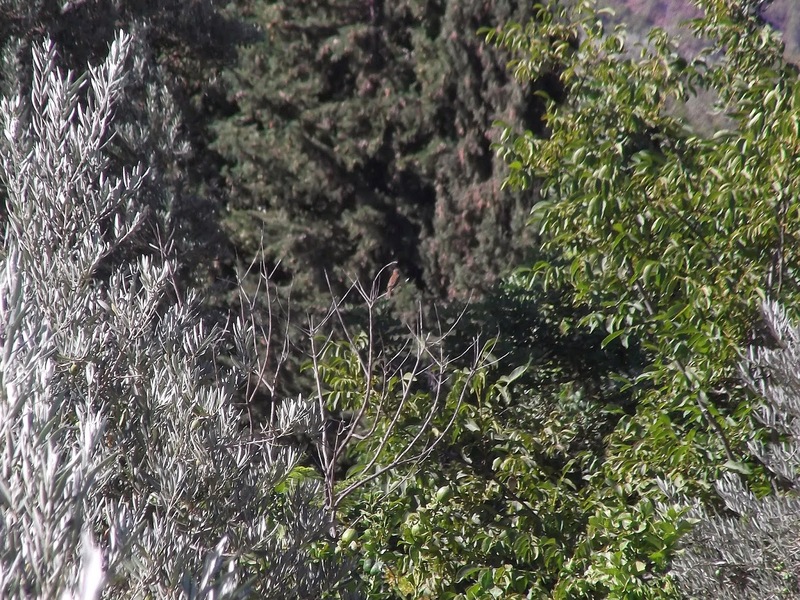 The Hoopoe was feeding in another garden, where I once again disturbed it. 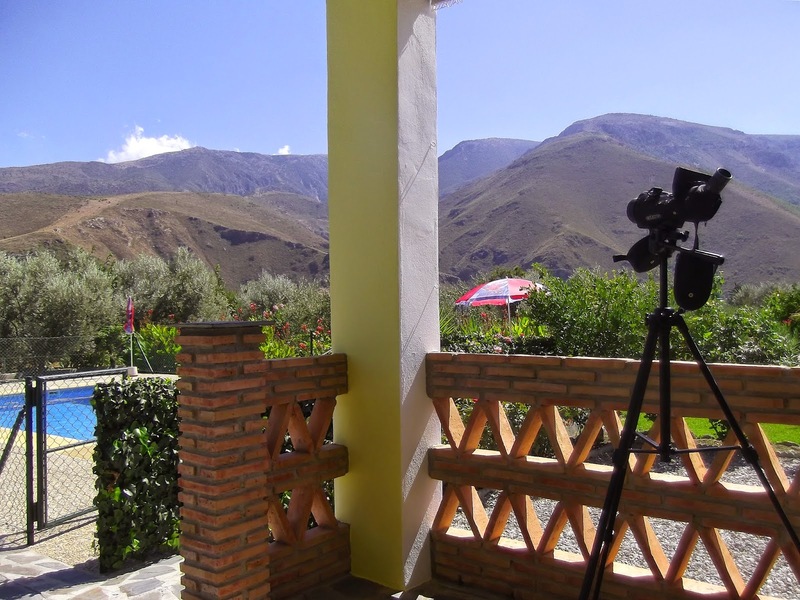 The highlight of the morning were six Bee-eater circling low right above the villa feeding. 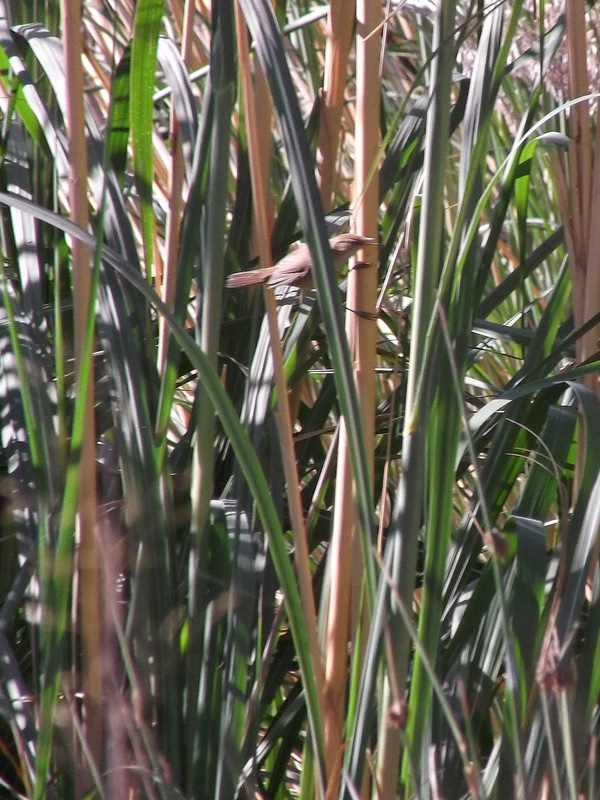 I went down to the Rio Guadelfeo, the river than runs below the town, later to see what I could find – more Willow Warbler (well, that's what I thought they were – see photo), two Cetti's Warbler and a Crossbill flew overhead. 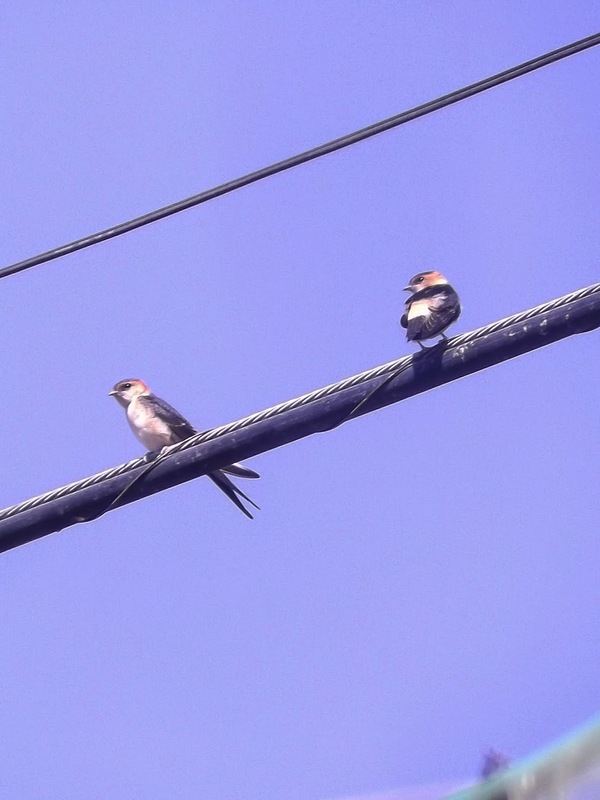 I also managed to get a digiscope shot of a couple of Red-rumped Swallows perching on some wires, while having a quick drive round the outskirts of the town. New species for the day was a Peregrine Falcon that flew over the villa heading south. A much windier day so it was more difficult for finding birds. We spent the morning at the town market, before having lunch at a fantastic Moroccan restaurant. 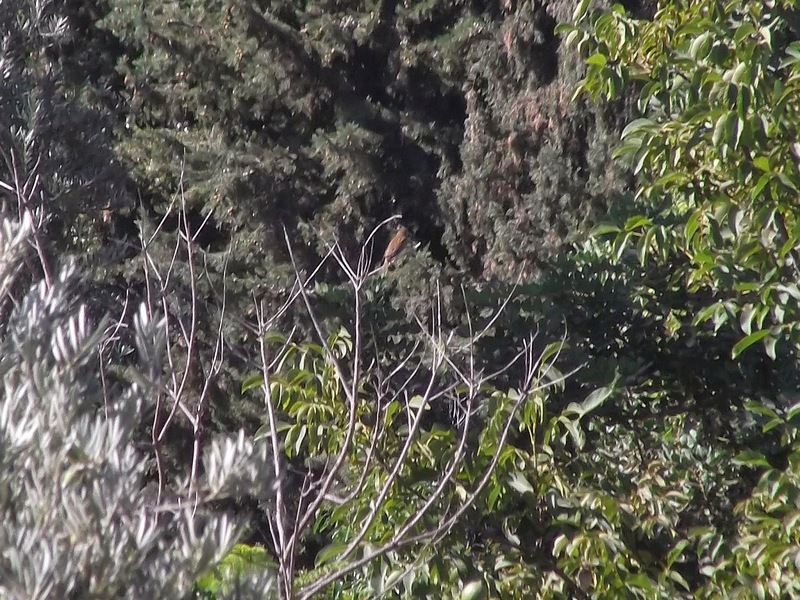 The garden list today included the Hoopoe, two Serin, at least 10 Red-rumped Swallow, a Booted Eagle, four Rock Dove, ten Bee-eater flying in to roost, and new species for the list, a handsome male Redstart. Having spent the previous evening eating out at an excellent pizzeria, surrounded by orange groves in the restaurant's garden, the penultimate day of the holiday was a lazy one (again). 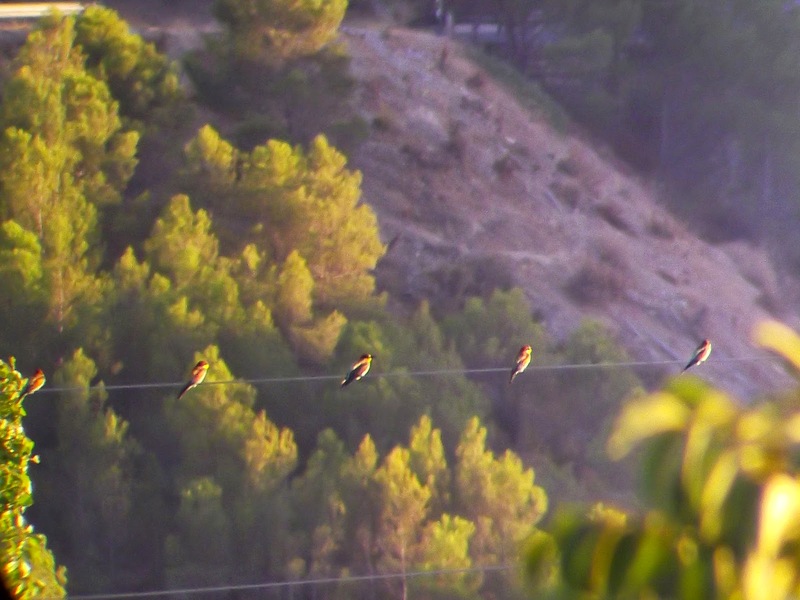 In the morning 14 Bee-eater left their roost south of the villa before heading north. 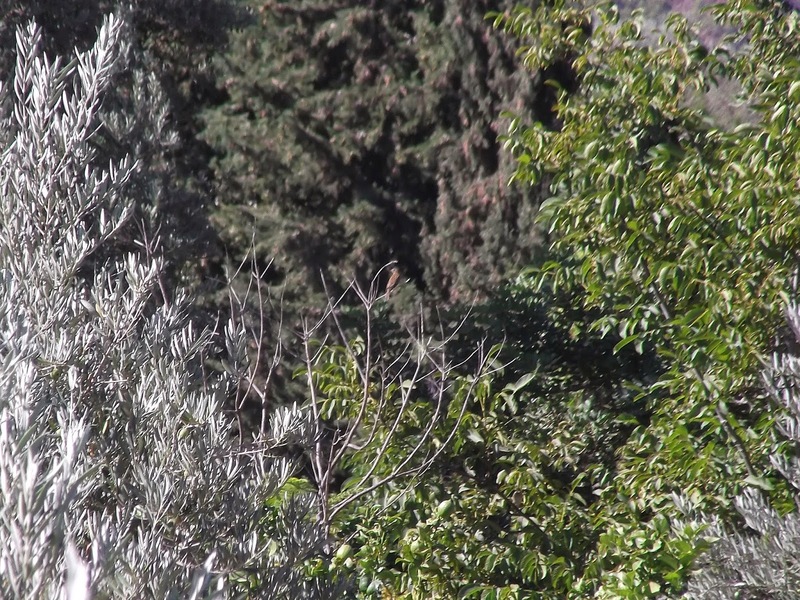 Having spent all week trying to get a photo of a Sardinian Warbler I finally managed it. 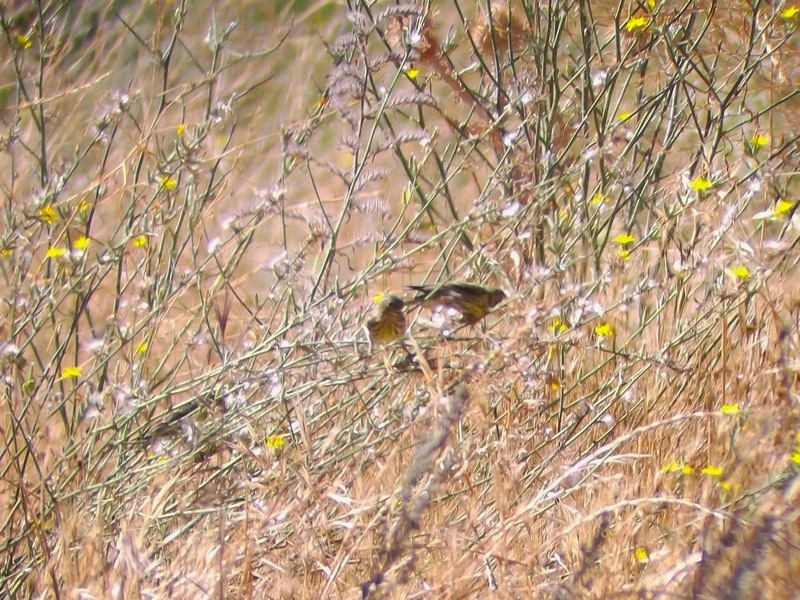 The highlights today were a juvenile Serin, the resident Hoopoe, what must be the local Booted Eagle and much to my surprise and another welcome garden tick, two probable Ortolan Bunting. I wasn't sure what they were at fist. They flew overhead and landed in a neighbouring orchard in a dead tree, before one dropped down to ground. Typically, I didn't have my scope with me at the time but a look through my bins showed a rufous-brown back with heavy black striping and when its head turned, a distinct ringed eye. Couldn't really see it being anything else but I'm still not 100 per cent sure. 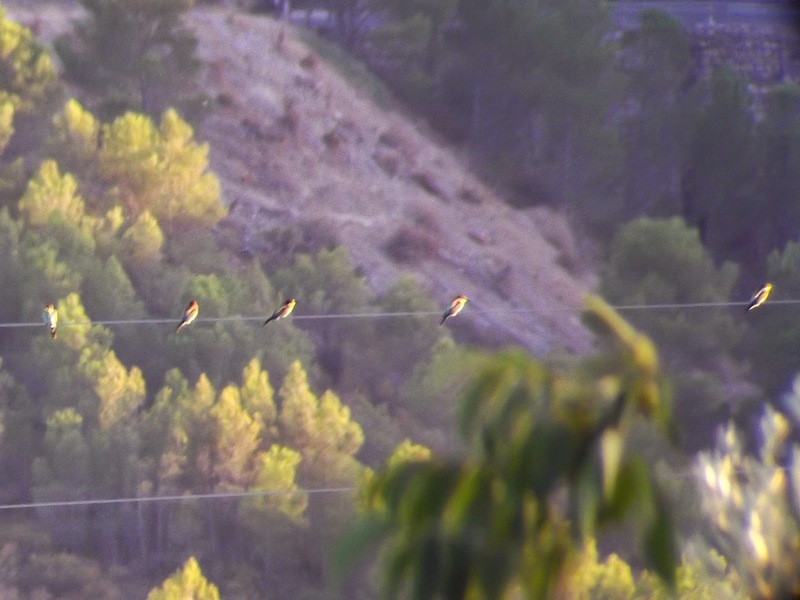 While that was interesting, the real highlight of the day was the return of the 14 Bee-eater to roost further down the hill. 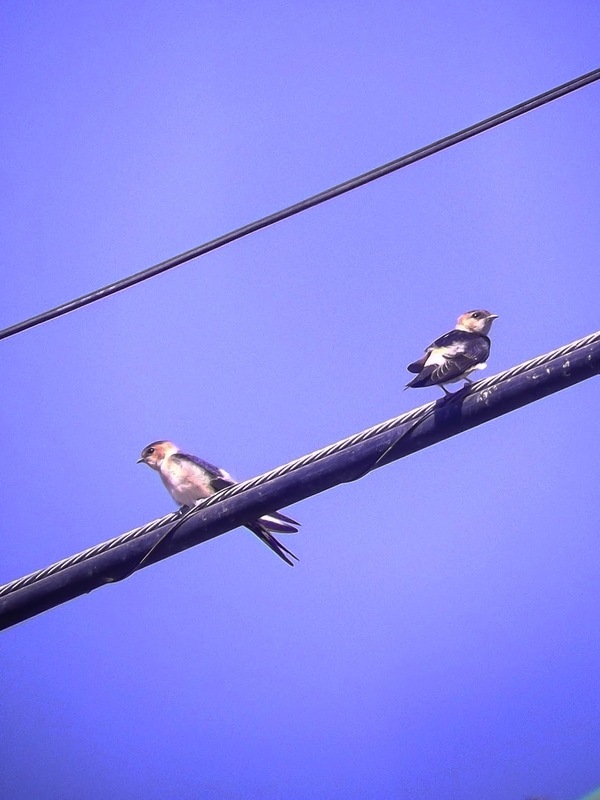 They flew around for some time, after perching up in telephone wires. The last morning, already! A fabulous week had gone by too quickly. I had one last walk around the garden and found another (or maybe the same) female Pied Flycatcher. It didn't sit still long enough to get a photo unfortunately. 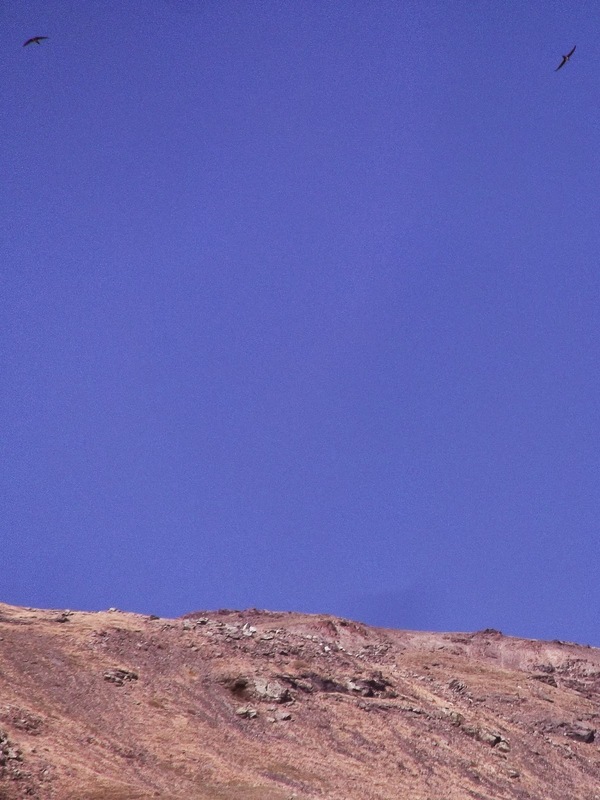 I also saw six of the 14 Bee-eaters heading off for the day and the Booted Eagle paid another visit, circling high above the villa. As it flew into the trees and hopped onto a branch it was as clear as day what it was. A Golden Oriole! I hadn't seen one all week, or ever before for that matter, and just as we were about to leave, one appears! Amazing. A perfect end to our holiday at Casa Vicente in Orgiva. 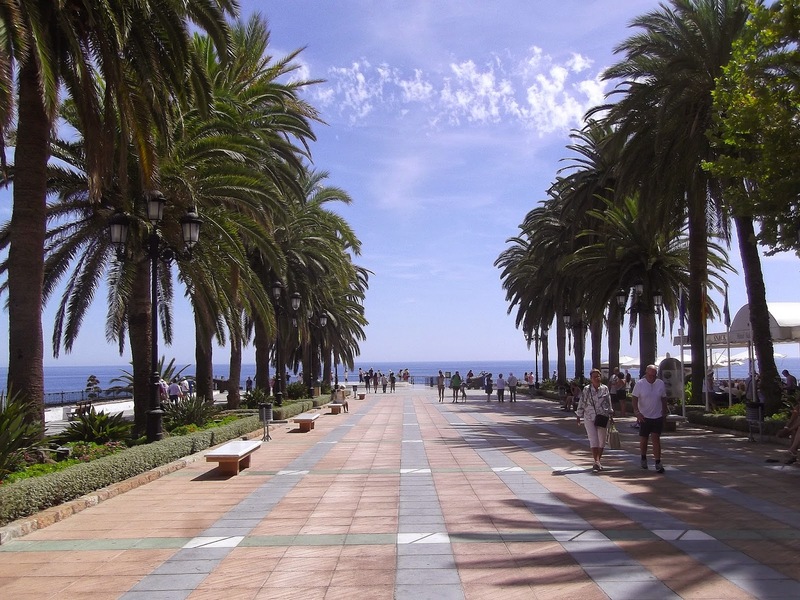 One the way home we stopped off at Nerja by the coast for lunch – a beautiful spot. Our flight wasn't until 9pm so we had plenty of time to sit back for a while. We ate great tapas for less than a tenner each, and watched the day go by in the square, including a wedding. After that it was a cruise back to Malaga airport along the coastal road, where two Cattle Egret flew into some trees as we drove over a river estuary. The final birds on the list.